Great minds put their heads together and big things happen. Add Boxman Studios and we take it to the next level! 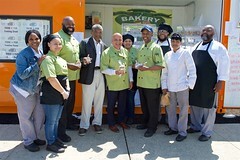 Partnered with Cathedral Kitchen and Respond Bakery, Cooper’s Ferry Development Association was looking for innovative ways to help grow and nurture their Camden, NJ community. 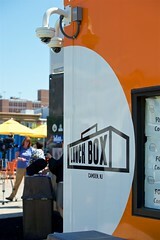 So, they reached out to us to help flesh out a food service concept with a creative placemaking vibe. 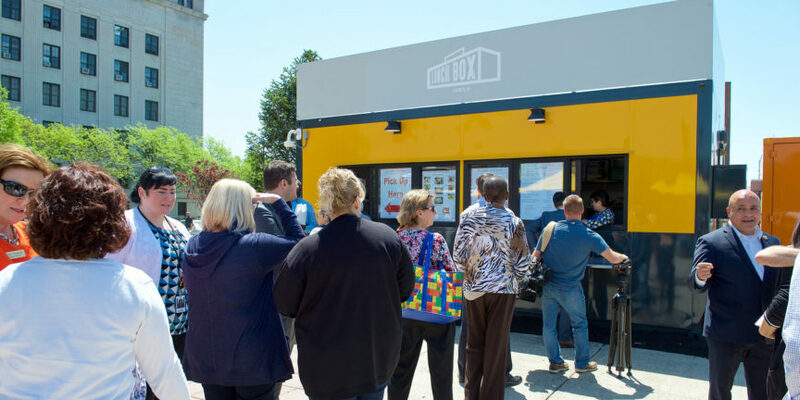 The CFDA wanted to provide a modern and welcoming shipping container restaurant to attract people to one of the city’s underutilized park. 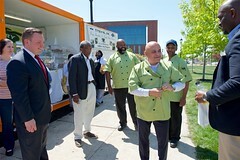 Rounding out their concept, they develop a lunch-focused grab and go food outpost located in Roosevelt Plaza Park in downtown Camden. 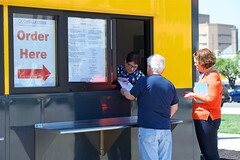 Aptly named the Lunch Box, their menu features freshly prepared soups, salads, and sandwiches. 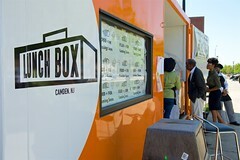 Now, The Lunchbox is bringing delicious, healthy food to people who live and work in Camden. We think it’s safe to say that The CFDA far exceeded their community’s expectations. Their vibrant yellow box combined with welcoming café tables and bright umbrellas make this a perfect place to sit down and enjoy the beautiful park. 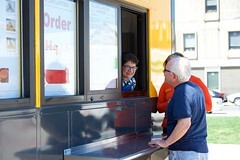 They successfully created a new place for hungry patrons to eat healthy grab-and-go lunches while simultaneously providing a community gathering place to advance economic development and support the local area. 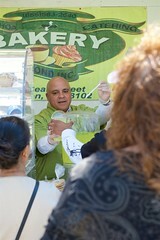 And on opening day, they welcomed hundreds of new patrons with fresh cuisine and delectable desserts. Cooper’s Ferry Development Association (CFDA) is a private, non-profit corporation dedicated to coherently planning and implementing high-quality urban redevelopment projects to help replenish Camden’s depleted tax base and to create a significant number of jobs for city residents. Respond, Inc. Is a charitable 501 (c) (3) organization created in 1967 by community residents to enhance and promote the economic independence and general welfare of individuals and families residing in Camden city and Camden county. We help people help themselves. From birthday and wedding cakes to fresh-from-the-oven breads and pastries, make Respond Inc. Bakery your go-to stop for delicious baked goods for celebrations, meetings or any occasion. 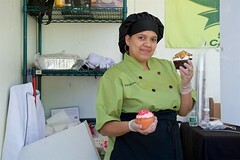 Our bakery is an extension of our Culinary Arts Job Training Program, providing jobs for our graduates. The Cathedral Kitchen (CK), a 501(c)(3) organization, was founded in 1976 after four young Camden residents attended an International Eucharistic Congress in Philadelphia to hear Mother Teresa speak on the occasion of America’s bicentennial. 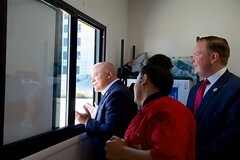 Inspired, they formed a conference of the Saint Vincent de Paul Society with the goal of helping the hungry in Camden. With zeal and a bank balance of only $146, they began a volunteer program serving soup and sandwiches to those in need; today it is the largest emergency meal program in Camden.